Description: Love, says the apostle Paul, ""does not rejoice over injustice, but rejoices in the truth"" (1 Corinthians 13:6). The theological explorations undertaken here all deal in one way or another with the liberating promise and the perplexing problem of truth in Christian life and witness, and with the ways that Christian theology and theological education in their various modes struggle both to seek the truth and to foster the aptitude to honor it. Endorsements: ""This engaging collection of essays by Charles Wood offers illuminating perspectives on critical theological issues. Wood opens up theological questions in new ways through providing fresh angles of vision and insightful analysis. His ability to bring clarity to sometimes complex issues makes him a joy to read. Whether one is interested in Wesleyan Studies, the contemporary theological task, or the future shape of theological education, this book will be a most welcome and valued resource."" --Henry H. Knight III Donald and Pearl Wright Professor of Wesleyan Studies Saint Paul School of Theology, Kansas City, Missouri ""Making Wesleyan theology a kind of test case, Charles Wood gracefully shows us the delights and pitfalls of Christian doctrine. 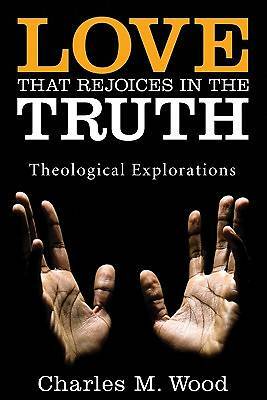 Though he gently reminds us of the manifold ways theology can go wrong, he majors in the joy of doing theology devoted to the truth and in service of love. Few theologians are so attuned, as is Wood, to theology's responsibility in a perilous world and yet so ruled by the gospel's power to make its own way despite our theological pretensions. Accompanying Wood in these essays is as rewarding spiritually as it is intellectually. That's the mark of good Wesleyan theology, indeed, of any theology."" --M. Douglas Meeks Cal Turner Chancellor Professor of Theology and Wesleyan Studies Vanderbilt University Divinity School About the Contributor(s): Charles M. Wood is Lehman Professor of Christian Doctrine at Perkins School of Theology, Southern Methodist University, and director of the university's Graduate Program in Religious Studies. His most recent books are Attentive to God: Thinking Theologically in Ministry (2008, co-authored with Ellen Blue) and The Question of Providence (2008).